So @NinjaFish6661 got an iPhone emoji fun time !!!!!!! @norbuck That's a baby bratz doll! I use to have that when I was little! @AshleyThomas11 aw I'm honored to give ya a few giggles every once in a while #missyou WAY MORE!!! 18 Oct 11 copy & paste +upvote -downvote @AshleyThomas11 aw I'm honored to give ya a few giggles every once in a while  #missyou WAY MORE!!! 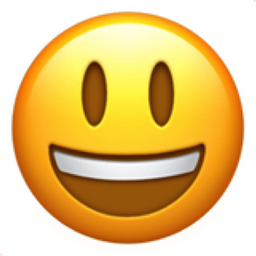 Like Smiling Face with Open Mouth Chronological Emojitweets 25?